2nd Line Atlanta performed inside the refurbished barn. 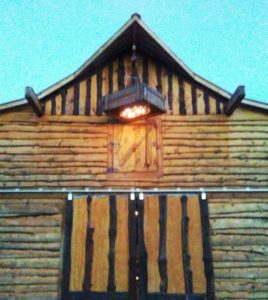 This is the barn event center at the Jewel House where we performed a Second Line, the outdoor chandelier is made of what appear to be barn wood or a crate…absolutely amazing. It was a fun gig, place was beautiful and money was raised!